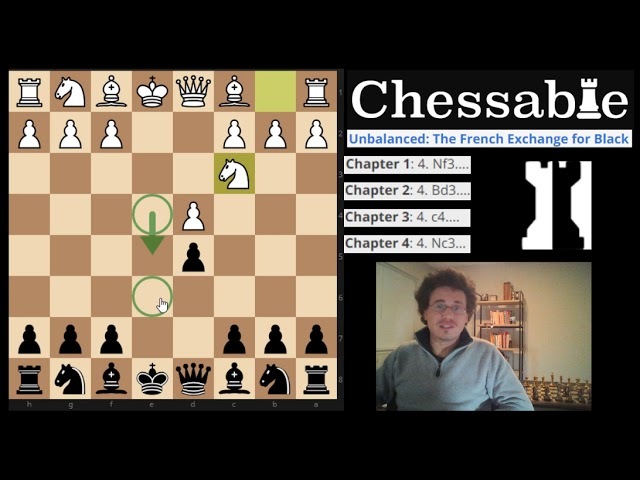 This repertoire is for players who want to fight for a win right out of the opening as Black in the Exchange variation of the French Defense. The Exchange variation has a reputation of being dry, drawish, or even boring. But this reputation is not deserved and this repertoire will give you a way of keeping the game unbalanced and exciting without having to play dubious moves. This is not an in-depth course with a big workload but a quick study guide. The goal is to quickly become acquainted with the ideas so that you can start playing it after only day (or two) of studying. I created it through personal tournament experience and careful research. I focused on moves that create an imbalance, with a clear plan for Black, rather than long lines of theory. The ideas and plans are straightforward enough for casual players to grasp and use, but deep and rich enough for stronger players to dive into and gain value from as well. I hope you'll enjoy this course and have some great fights in the French Exchange (Unbalanced). 4.5 out of 5 stars, based on 13 user ratings.